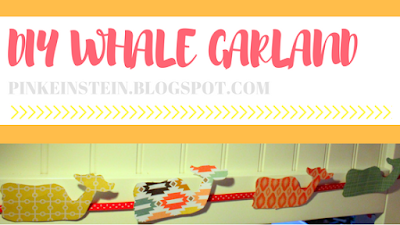 Life as Pink Einstein | Dallas Fashion and Lifestyle Blogger: DIY Whale Garland! Today I am doing a DIY Vineyard Vines inspired whale garland! I made mine using fall colors but you can use any scrapbook paper or make a Lilly inspired one using a Lilly planner!